Most times the causes of runny noses and allergies are dust mites. These minute creatures are a big nuisance and cause many health problems. Good insulation in homes and central heating has not made matters easy. Current lifestyle and comforts have made our homes habitable for dust mites to live and thrive. However, with this guide on how to get rid of dust mites, you can easily ensure a zero dust mite environment. Many people shudder at the thought of dust mites. However, contrary to popular belief, humans are not allergic to these mites. Humans are in fact allergic to their feces. 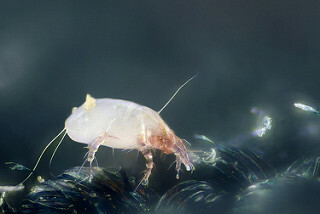 Dust mite droppings are small and can only be visible to the naked eye when you are actively looking for them. They are the size of a pollen grain. There are several maladies associated with these creatures such as respiratory problems, asthma and other similar allergies. The common symptoms of dust mite allergies includes runny nose, watery eyes and sneezing. Sometimes, eczema is also a result of dust mites in the home. If you suffer from any such symptoms, then it is important that you read this 'how to get rid of dust mites' guide completely and take necessary action. Dust mites thrive in areas that are warm and humid. Carpets and bed linen are the best places for them to breed. You can find 100,000 dust mites living peacefully in just 1 square yard of a carpet. Other areas are sofa upholstery especially the cracks and seams. Dressers, drawers and other wooden furniture are also a good place for them to live. People generally respond with complicated steps on how to get rid of dust mites. However, this step by step procedural guide on how to get rid of dust mites will help you keep your home free from these creatures. It is important that you follow all the steps listed here if this is the first time you are attempting to make your home free of dust mites. Dust mites tend to be blown onto Hardwood floors from furnaces. Before you undertake any formal cleaning to rid your home of dust mites, it is important that you replace the regular furnace filter with a high quality allergen rated filter. These specialized filters help in trapping the mites and prevent them from blowing onto your floors. The filter packaging should specify that it blocks out dust mites. Get an electrostatic mop to clean the hardwood floors. This mop collects the dust mites instead of brushing them from one end to the next. You should also get a mop that is machine washable and wash it immediately after cleaning your floor. By cleaning your mop in a washing machine you prevent collected dust mites from jumping to other surfaces. It is important that you use warm water in order to effectively kill the dust mites. The next step is vacuuming your entire home. The right approach is to start from top to bottom. Pick out one side of the room and vacuum the whole area systematically. It is crucial that you use a HEPA-filtered vacuum cleaner. Vacuum all cloth covered areas at least twice to prevent missing any areas. To maintain a dust mite free home it is important that you vacuum your home at least once a week. Your bed linens, wardrobes, carpets, furniture, floor, upholstery and wall coverings are some important areas you should never miss. Many people are of the notion that drapes are safe from dust mites. However, furnaces tend to blow dust mites right onto the drapes and other similar areas in the room. Take a bucket and pour hot water in it. Soak a clean cloth in this water and rub it over every surface in your home. You should clean the cloth in running water in between separate surfaces to wash the dust mites down the drain. Dust mites tend to remain partial to clothes and warm bed covers. Hence, strip your bed of all linen and wash them with your clothes in a washing machine. Make sure that the water temperature is more than 130 F in order to effectively kill them. Steam Cleaning your furniture and draperies once in every 6 months is a great way to ensure that your floors and your home remain free from dust mites. This also helps in keeping your home free from damp that is a definite breeding ground for dust mites. Dust mites love moisture and humidity and breed extensively when humidity is above 70%. You can prevent breeding and even kill them by keeping the moisture below 50% in your home. It is important that you invest in dust mite covers for your mattress, cushions and pillows. It is the general belief that dust mites cannot exist on hard surfaces. However, this could not be farther from the truth. How do Dust Mites Develop on Hardwood Floors? While mites find it difficult to exist on hardwood floors, carpets and other floor coverings can make a good habitat for them. Wall to wall carpeting is among the worst kind of floor cover when you are trying to get rid of dust mites. Another way for mites to get onto the floors is through the furnace. Central furnaces tend to blow dust mites right onto the floor surface where they hop onto other surfaces or infest the carpet weave. It is crucial that you vacuum your floors properly and regularly, every week if you are in the habit of keeping your windows open. If you have a furnace, then you might need to vacuum every alternate day. This will ensure that there is no buildup of dander or dead skin flakes on the floors. There are many hardwood floors that can withstand a wet mop. 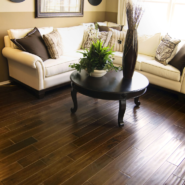 Use a good quality hardwood cleaning agent and wipe the surface with a mop. 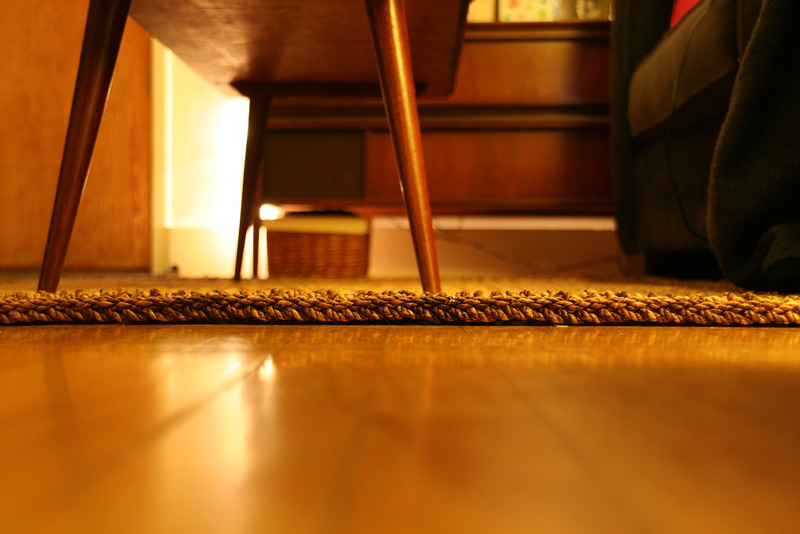 Cleaning your hardwood floor with a wet mop once every month can help keep the dust mite infestation at bay. You must ensure that the mop you use is electrostatic. It is important that you use warm or hot water while cleaning in order to effectively kill the dust mites. Tannic acid is the same substance as found in tea. This is a great agent to neutralize the effects of allergens from dust mite feces. You can purchase tannic acid powder from any local health food store. Sprinkle this on your hardwood floors and let it remain for at least 3 hours before you mop it up. Dust mites can cause fear in the hearts of many people because of the resulting allergies and troubles. However, by following the simple steps listed here you now know how to get rid of dust mites and ensure your home is free of these creatures so that you do not suffer anymore.